Ted Baker was able to shrug off glum UK high street sales due to having just 20 standalone shops. 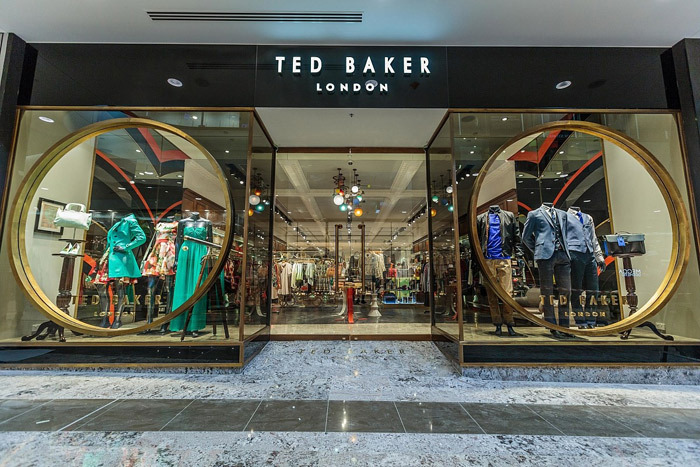 British clothing company, Ted Baker (LON:TED), experienced an increase in online sales coupled with international expansion which resulted in strong revenues for the 19 weeks leading up to June 11. The group’s revenue went up by 11.3 percent compared to last year during the same period and retail sales increased by 10.3 percent to 12.7 percent based on constant currency. The company’s competitors experienced poor trading due to unseasonal weather and EU referendum uncertainties, but Ted Baker founder and chief executive Ray Kelvin said that management focused the business on what it is able to control. Shares of the group rose up to 23.91 per share going against the market as the FTSE fell below 6,000 points early in morning trade. Even as external trading conditions proved challenging for retailers, the company continued its expansion outside the UK and opened stores in Beijing, Ottawa and Seattle while opening more concession outlets in department stores of China, Japan, France, Germany and Spain. Licensed stores in Azerbaijan, Egypt, Mexico and Taiwan also welcomed the brand. With the new openings, Ted Baker was able to increase its international selling space by 9.7 percent per 379,254 sqft up from last year. Store roll outs by the company had been slow with the UK only having 20 standalone shops, which was one of the reasons why the brand was able to weather shaky revenues on the high street. Marks & Spencer and Next have both reported poor results. The slowdown in China’s economy also affected other competitors such as Burberry, but with the country only representing 2 percent of sales, Ted Baker was able to shrug it off. The brand experienced a 32.3 percent increase in its e-commerce business after the launch of their language-specific website in Germany earlier in the year where it only has five department store concessions. While the company enjoyed favorable online sales, it is still below the 39 percent increase it experienced in the 8 weeks to January 9 during the year prior. “Ted is clearly not immune to wider market conditions but is well placed to benefit from weakness among the peer group and from a structural shift towards online,”Liberium analysts said. According to Kelvin, the company will be able to meet its full-year expectations.